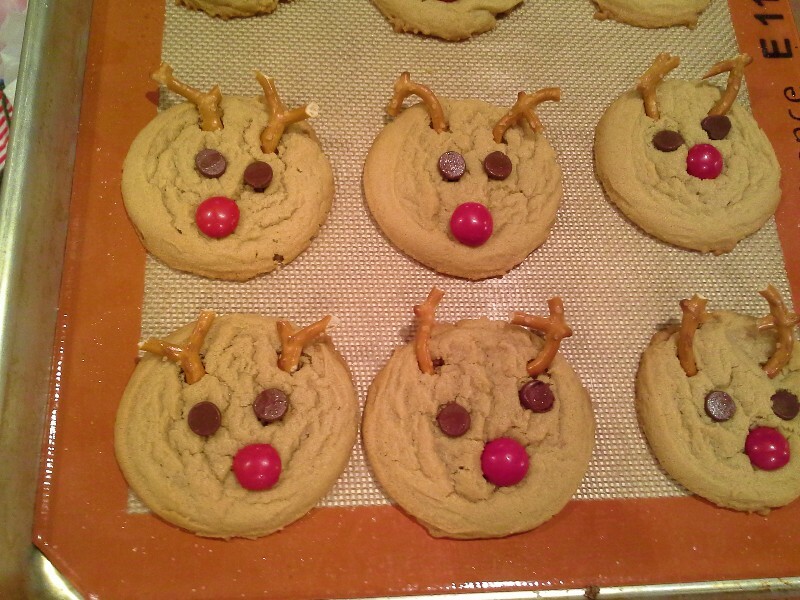 I was perusing Pinterest yesterday and came across the cutest little cookie idea. I knew the girls would just love to try it, so we off and braved the long lines and "crazies" at the store just to pick up a few odds and ends to make these adorable cookies. What could be more festive on a holiday tray of goodies I ask you, but Rudolph the red-nosed reindeer himself? I got the idea from the ladies home journal, which includes their own peanut butter cookie recipe. I just used our regular family peanut butter cookie recipe and added the reindeer details. By the way, if there is a nut allergy you do not have to make peanut butter, but I would guess plain chocolate chip cookie dough (minus the chips) would work just fine too. 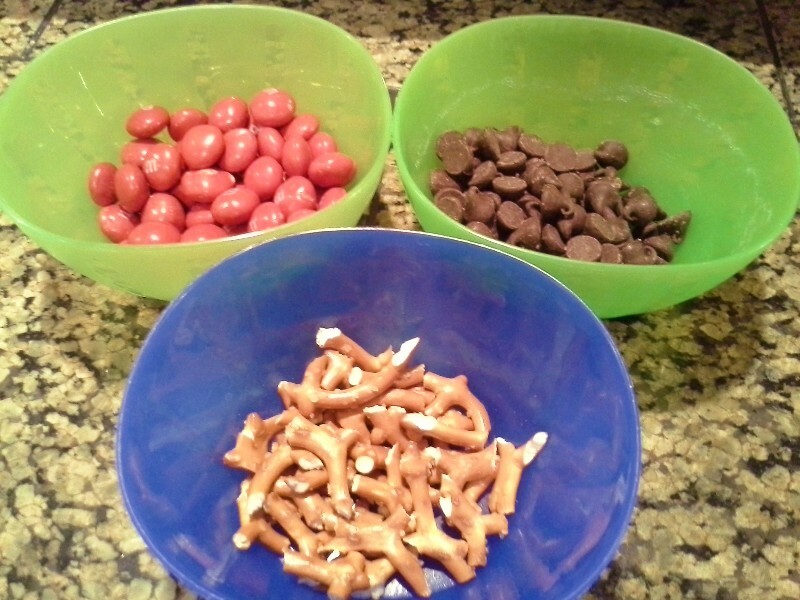 Pretzels broken into 1 inch "antlers"
Once the cookies have baked for 10-12 minutes pull them out of the oven hot and place the horns down at an angle but almost flat against the cookie so they will stay. Be sure not to push all the way through the back of the cookie. 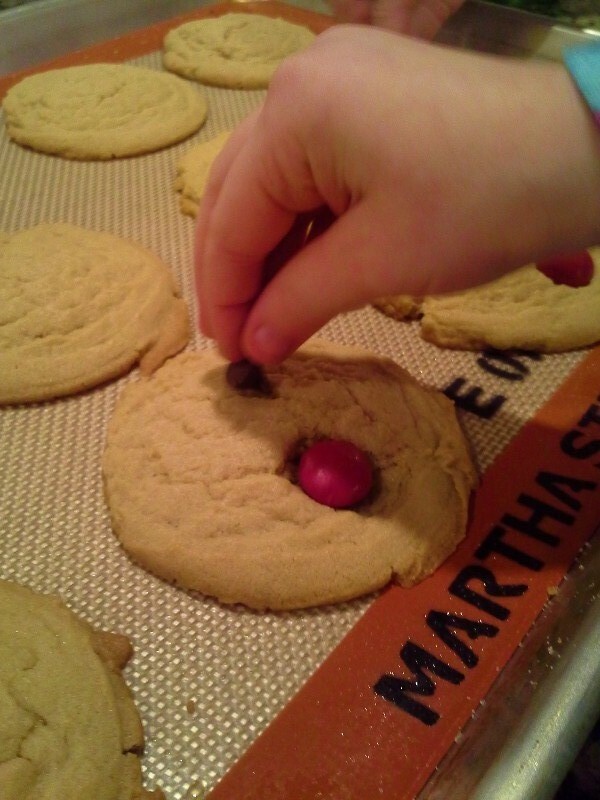 Quickly place the chocolate chip eyes with the points down and push down as you add the red nose. Soon you will have a whole pan full of cute little faces staring up at you. I let these guys cool completely on the pan because I was afraid to move them. 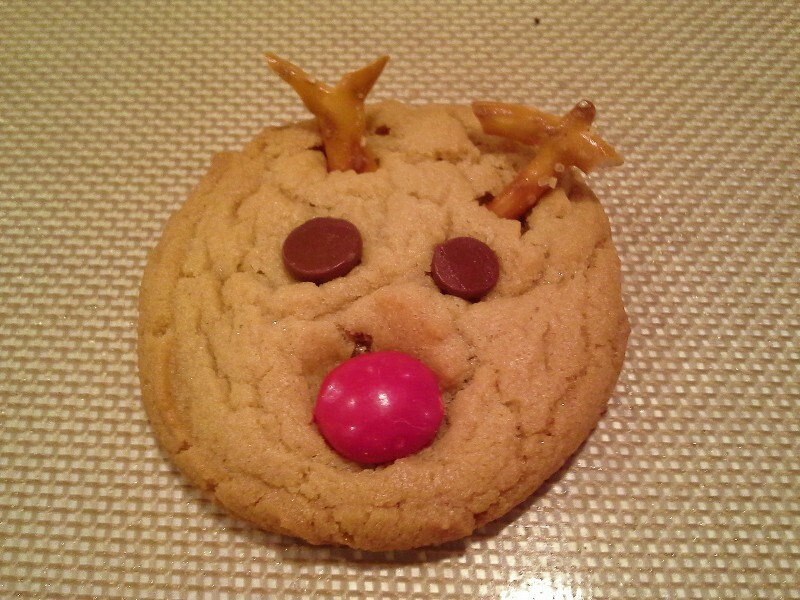 Turns out the eyes, nose, and antlers did stay put if they were put in when the cookie was still hot and allowed to completely cool before moving them to a cooling rack. 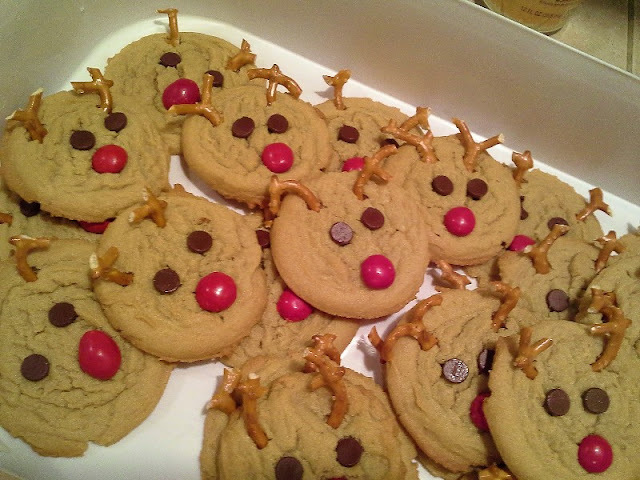 After that I transferred them to a cookie carrier and I was extra careful on how I stacked them, making sure the antlers of the reindeer below was not crushed by the reindeer above. 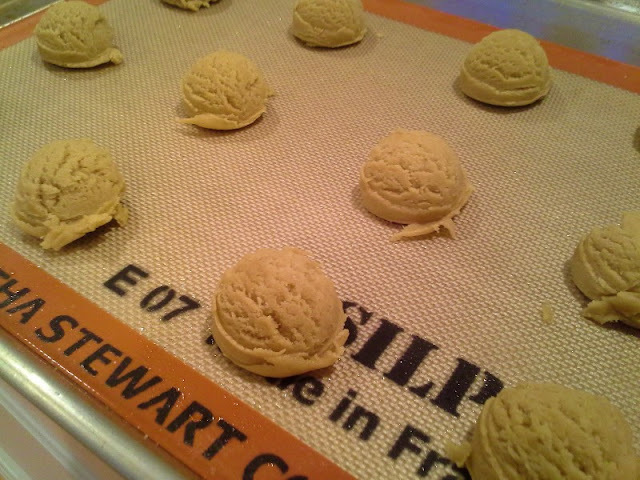 A double batch of our regular peanut butter cookie recipe yielded 50 of these guys. This is our first attempt at making these reindeer cookies and let me tell you, they were a big hit! The girls took turns, each getting to do faces for one hot pan of cookies. I can't wait to see our cousins and Grandma's face on Christmas day when they see our brand new fun creations. Anyway, just thought I'd show you a last minute, late additions to our normal holiday treats. I believe this will be a new tradition for us.